I took an internet friend to a couple of local bird locations to show him what the area was like. 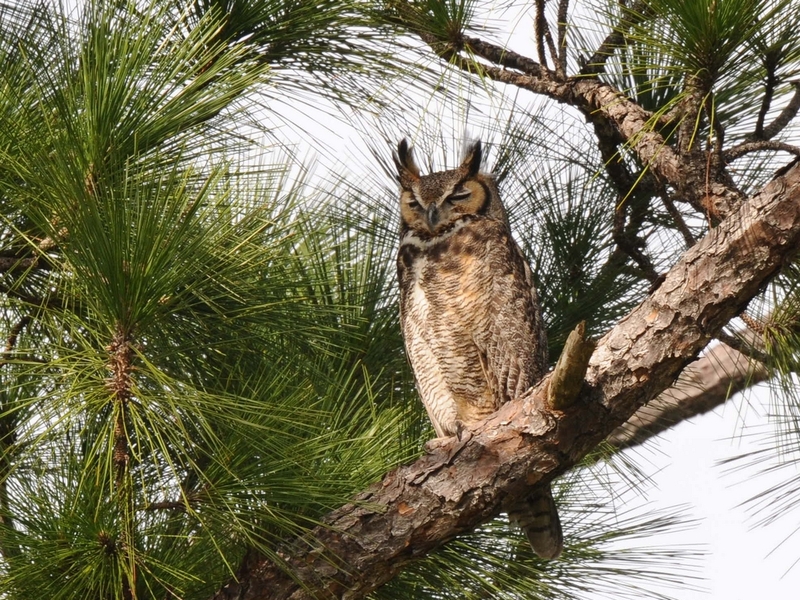 We met at the Punta Gorda History Park to take a look at the Great Horned Owls which had taken over the unused eagles nest to raise their own brood. They have produced two chicks who are progressing nicely. But, while we were there, the sun angle was directly behind them making good shots hard to come by. 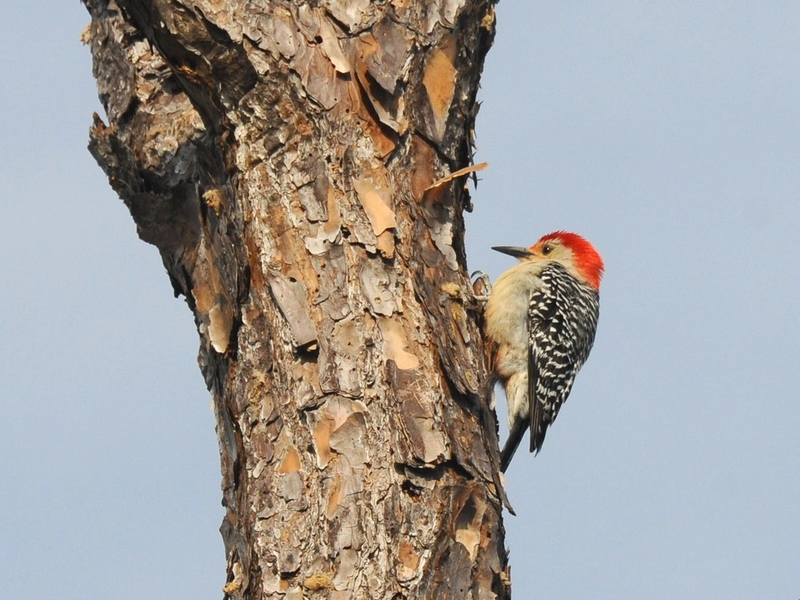 So, we satisfied ourselves with a few shots of the female owl and a Red-breasted Woodpecker who lives in the park. After that, we went down to Ponce de Leon Park just to show them the location. 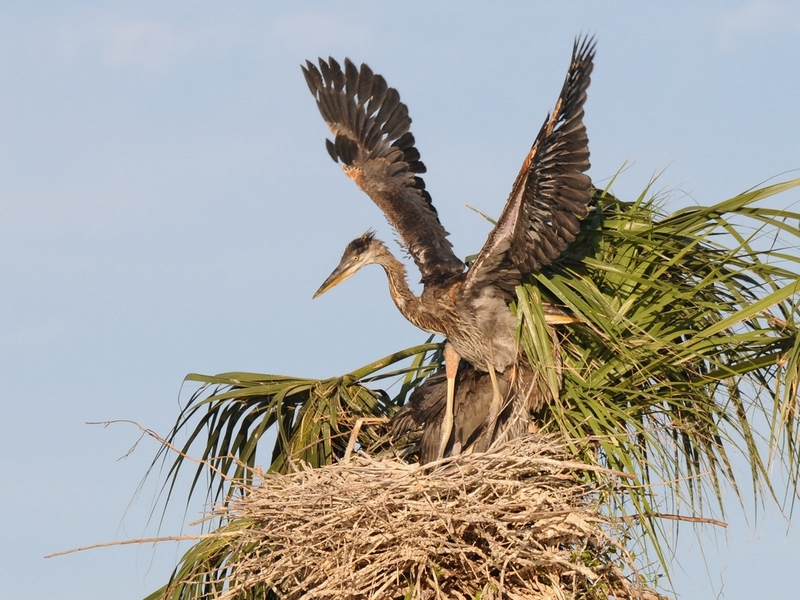 We did take a few shots of the Great Blue Heron nest there in the parking lot of the Peace River Wildlife Center. It is in an awkward position for photography so, nothing much came of that stop. It is a morning shoot though and should be good tomorrow morning. The last stop was the local rookery where there are always an abundance of birds. 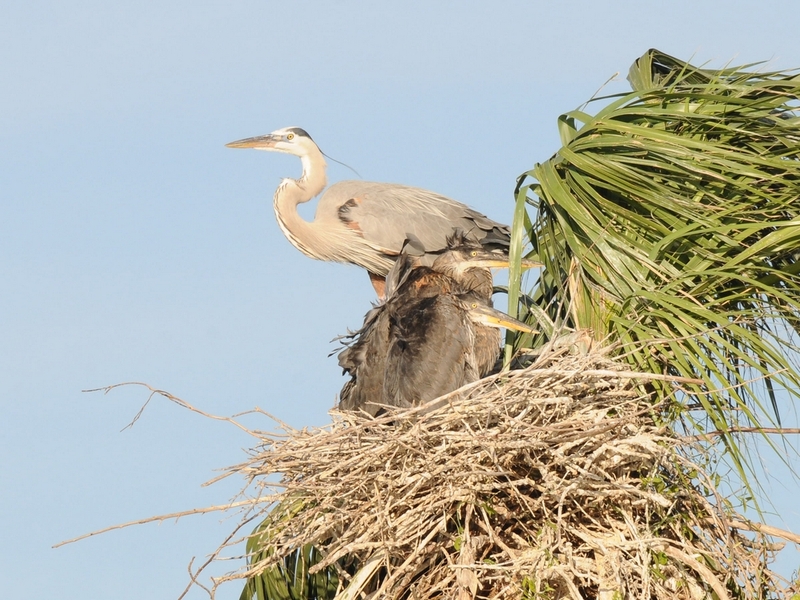 At the high point, there is a Great Blue Heron nest with two maturing young. The are nearly as large as their parents and beginning to get ready to fly. In fact, one of the parents seemed to be teaching them to flap their wings. After a few demonstrations like this the adult departed leaving the young to try it on their own. One of them took the lessons to heart and spent a lot of time flapping it’s wings as if to try to fly. But, today wasn’t the day. As you can see in these pictures, the plumage hasn’t completely filled in and there are enough gaps to stop actual flight. 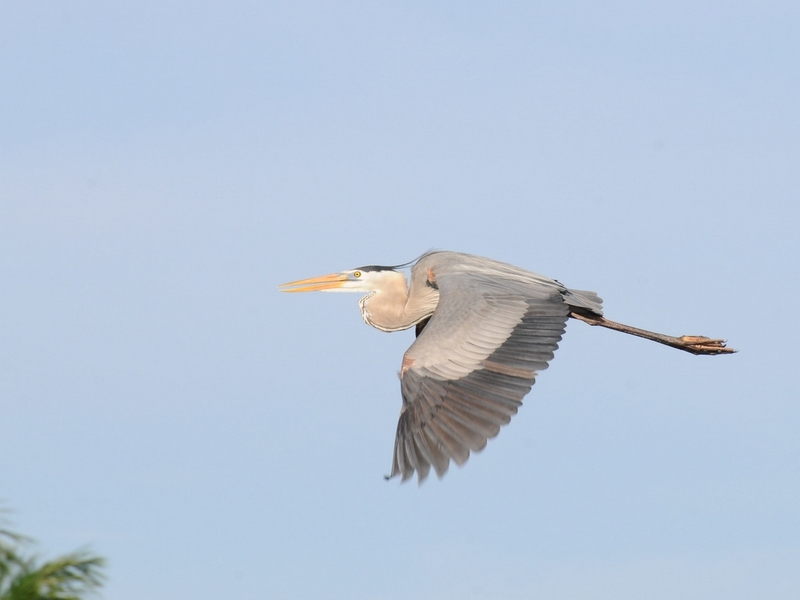 This activity does, however, provide a lot of exercise for the flight muscles as the plumage fills in. It won’t be long before baby can take flight. There won’t be any shortage of other birds either. 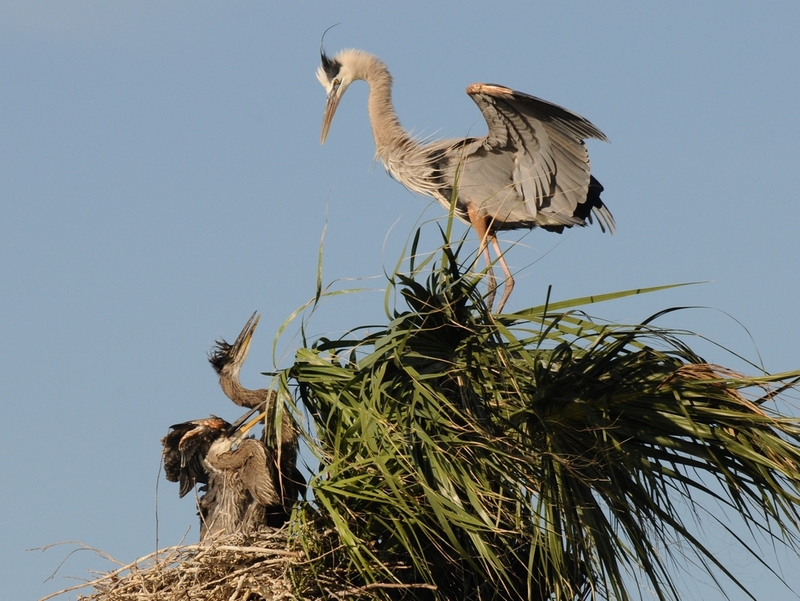 In this shot you can see Anhinga, Great Egret and Great Blue Heron nests. There is also a tree full of Cormorant nests. 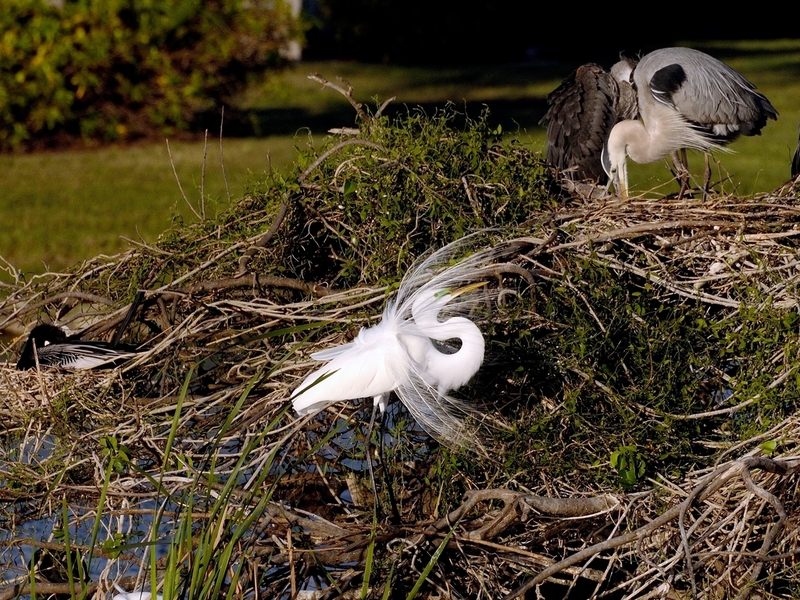 This entry was posted in animal behavior, Bird, Park and tagged 70-300mm VR, anhinga, Great Blue Heron, Great Egret, Nikon D300, Photography. Bookmark the permalink.